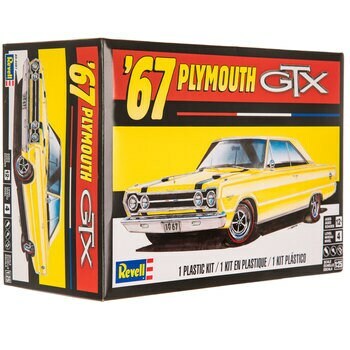 Build your dream car with ’67 Plymouth GTX Model Kit. Featuring a ’67 Plymouth style, this kit includes dozens of parts and pieces to assemble together to make a gorgeous model to display anywhere. Once it’s assembled follow the paint guide on the box (paint sold separately) to finish off your fabulous creation! Go classic with your automobile model kits!